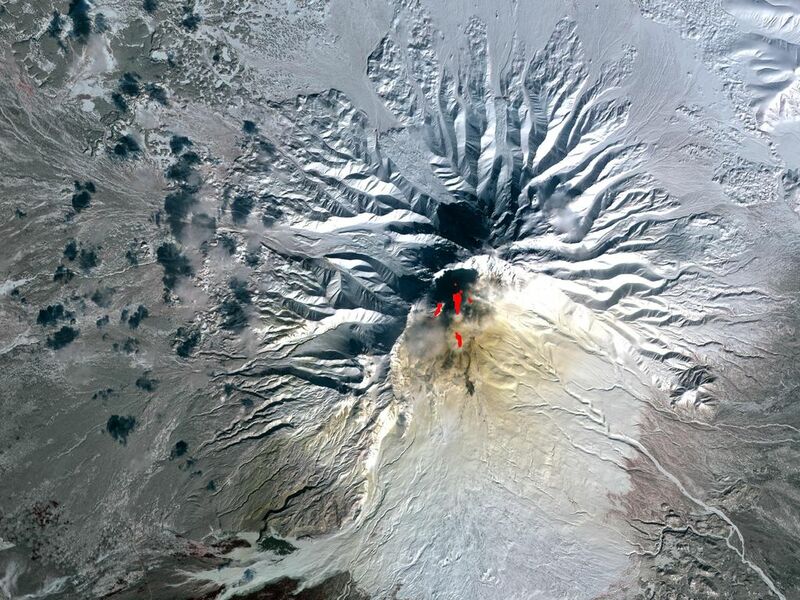 Sheveluch Volcano in Kamchatka, Siberia, Russia, is one of the frequently active volcanoes located in eastern Siberia. 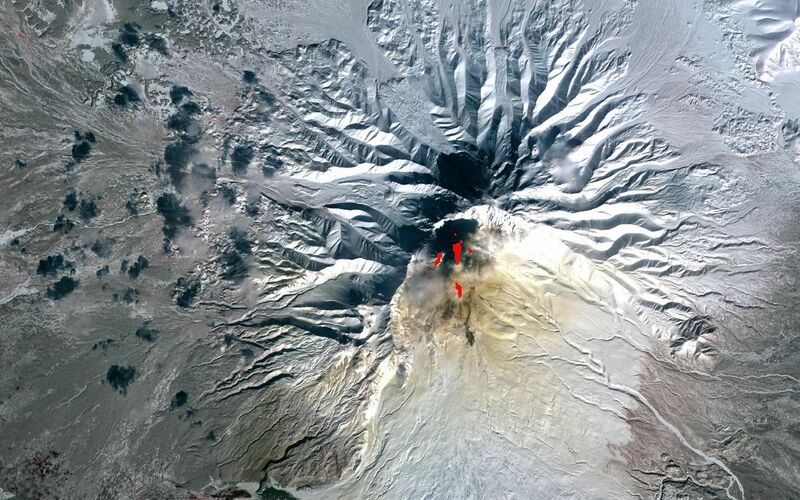 In this composite image, brownish ash covers the southern part of the mountain, under an ash-laden vertical eruption plume. 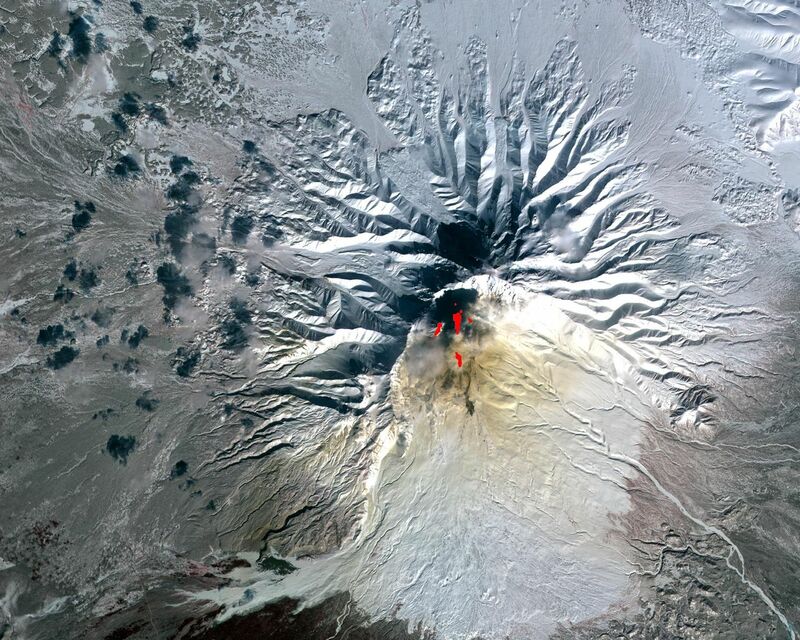 Red areas are hot-spots seen on ASTER's thermal infrared bands, and are related to lava flows. 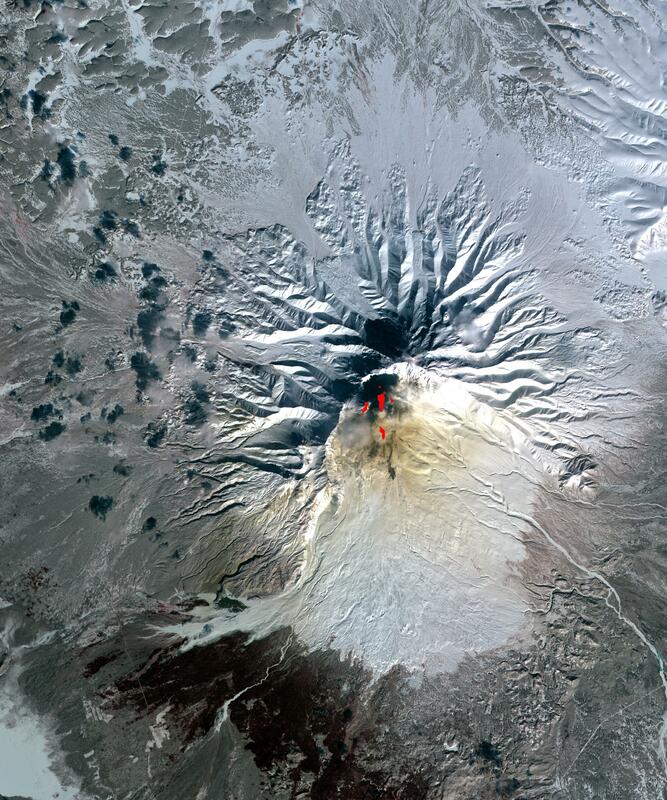 The image was acquired March 26, 2010, is located at 56.6 degrees north latitude, 161.3 degrees east longitude. The image covers an area of 17.7 x 21.2 km.